Easter is just around the corner so that means it’s time for one of our favorite Easter activities…Easter egg decorating! 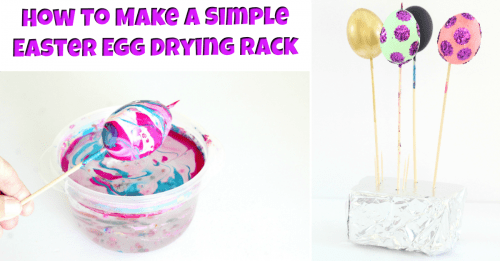 Whether you’re looking for something easy to do with the kids or you want to make beautiful Easter decor, you’ll love these fun Easter egg ideas! One of the reasons I look forward to Easter each year is because that means it’s time to start decorating Easter eggs. It’s one of my favorite holiday crafts and I love trying to come up with new creative Easter egg ideas each year. From cute Easter eggs for the kids to a decorative tablescape, there are a gazillion awesome things you can do. 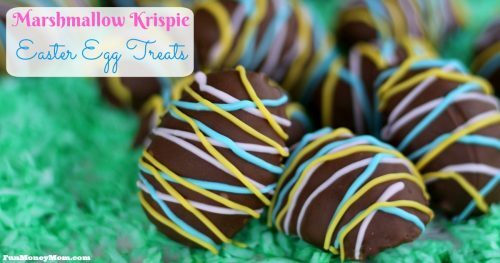 If decorating Easter eggs makes you hungry, you can even make these pretty Rice Krispie Easter eggs! In the past I’ve made everything from Disney princess eggs to marbled eggs and I have lots of fun ideas up my sleeve for this year. These are just a few of the Easter eggs I’ve made so far but there are more on the way! With Easter just around the corner, it's time to get started on one of our favorite holiday crafts...Easter egg decorating! 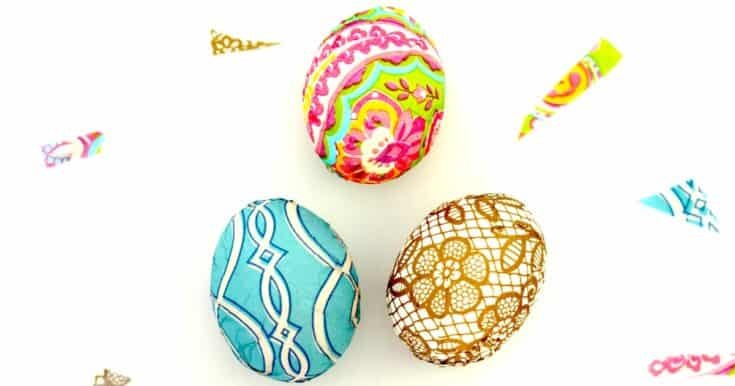 If you love dying Easter eggs but want to try something different this year, you'll want to check out these awesome Easter egg designs! 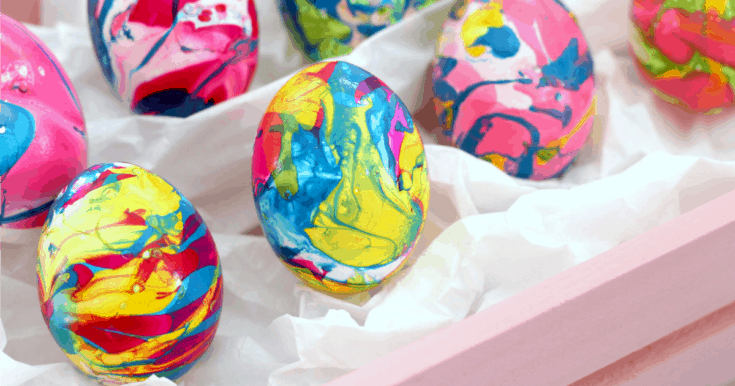 Making marbled Easter eggs doesn't have to be messy! Find out my brilliant idea for creating these beautiful Easter eggs without covering your fingers in nail polish. If you love Disney princesses as much as we do, you'll love making these Disney princess Easter eggs for the holiday. Decorative and fun, they're perfect for any age! 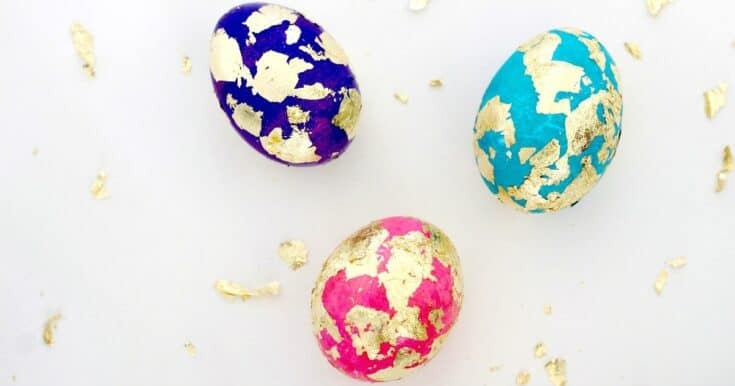 Feel like some sparkly Easter eggs this year? 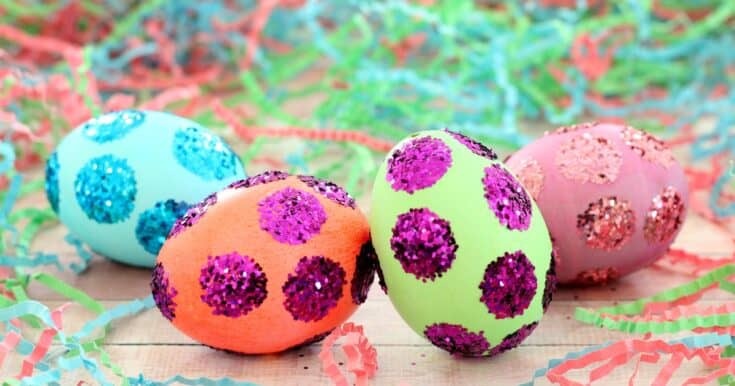 These polka dot Easter eggs are super easy and lots of fun! 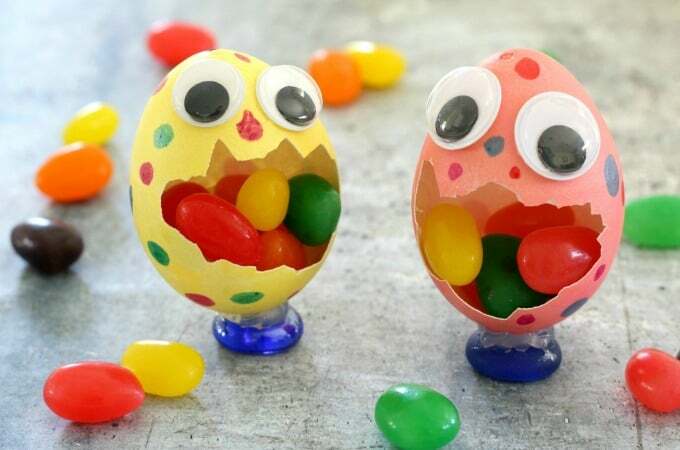 Easter egg decorating isn't just for kids...it's fun for the adults too! 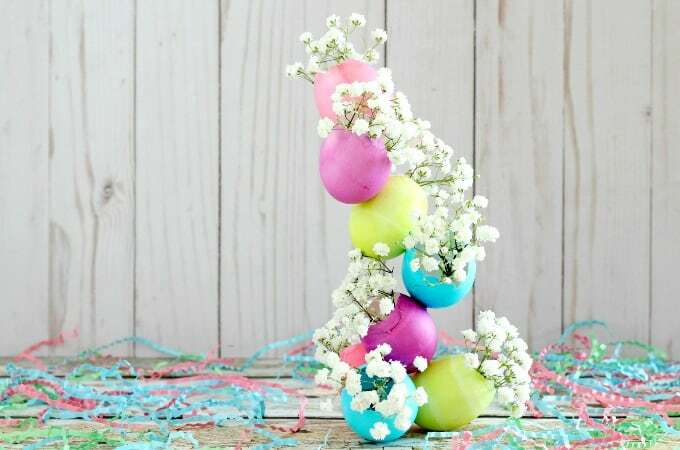 Find out how to make easy washi tape eggs that doubles as beautiful Easter decor. This Easter egg decorating idea came about when I accidentally broke one of my eggs. I thought the crack looked like a monster's mouth and voila, I turned my mistake into these cute Easter egg monsters! This is another creation that came about as a result of broken eggs and I loved using these to create decor for my Easter tablescape. When I was a kid, we just dropped a color table in water with a little vinegar and voila, we were ready to dye our eggs. Now there are so many more ways to decorate eggs. There are natural dyes (which I plan to try this year), paints, nail polish or you can even color your eggs with markers… the possibilities are endless! How do you make hard boiled eggs? I love using hollow eggs so that I can reuse them as holiday decor. However, most people make their Easter eggs with hard boiled eggs. To boil eggs on the stove, place your eggs in a single layer in a saucepan and cover with cold water. Bring to a boil, then remove from heat. Cover and let stand for 9-12 minutes. Finally, refrigerate the eggs until you’re ready to use them. 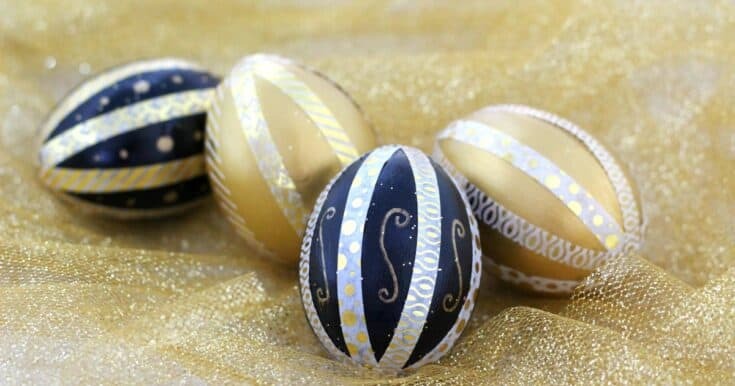 If you’re doing something other than coloring your eggs the traditional way, for example, using paint or a Sharpie, take them out a few minutes before you want to start decorating. Otherwise there may be condensation, which makes things tricky. How long do hard boiled eggs last? When hard boiled eggs are placed in an air tight container and stored in the refrigerator, you can eat them for up to a week later. 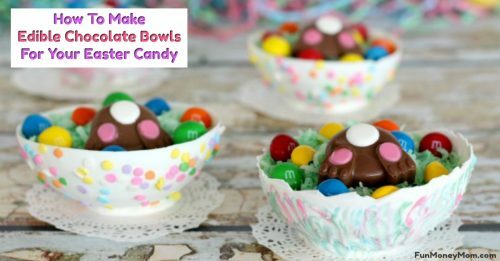 What can I do with leftover Easter eggs? One of our favorite things to do with leftover Easter eggs is make some delicious deviled eggs! Who doesn’t love deviled eggs, right? My favorites are these Avocado Deviled Eggs with Bacon and Blue Cheese but there are plenty of delicious deviled egg recipes to choose from. 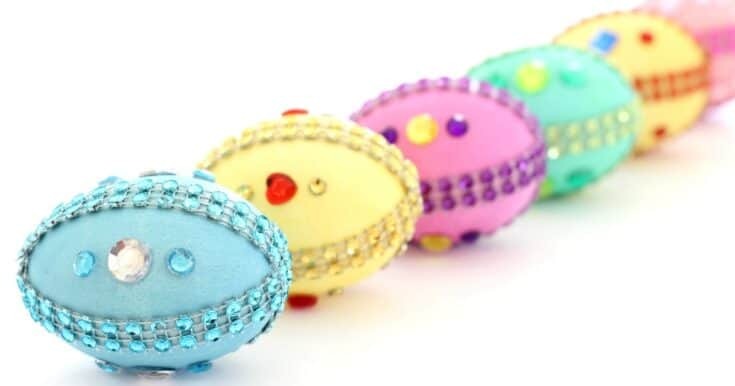 How do you like to decorate Easter eggs?